Best Buy's got a great sale price on a 43-inch Toshiba 4K television with Fire TV built-in. If you haven’t upgraded to the glorious 4K HDR life yet, now’s the perfect time to see what you’re missing for cheap. 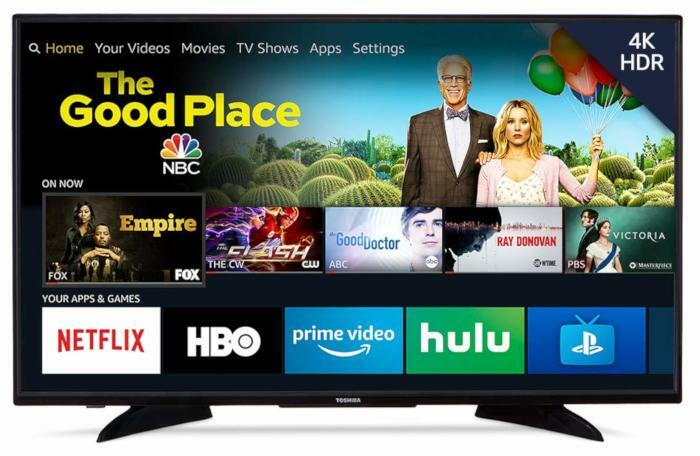 Best Buy is selling a 43-inch 4K HDR Toshiba Smart TV with Amazon’s Fire TV built-in for $200Remove non-product link. That price beats Amazon’s all-time historical low by $50 and the current Amazon price by $100. The Toshiba 4K UHD Fire TV Edition features Amazon’s Fire TV (obviously) and a voice remote with the Alexa digital assistant built-in. You can use Alexa to launch apps, search for programming, switch between TV inputs, and control smart home devices. You can also pair this TV with an Amazon Echo smart speaker for hands-free control. For inputs you’ve got three HDMI, ethernet, and built-in Wi-Fi. 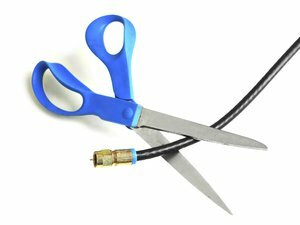 In addition to the TV, you also get a free 30-day subscription to Sling TV. Combine Sling TV with this pixel-packed, Fire-infused television set and you’ve got a great starter package for cord cutting.